Simply defined, a Business Plan is a document that describes your business objectives and how you plan to achieve them. While the growth of your business is the most important objective, a well-designed Business Plan will also serve to align goals across your organization and enhance your odds of accomplishing your financial goals successfully. 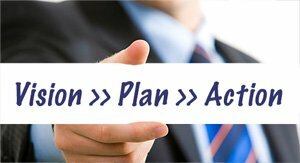 Address the importance and value of your entire company participating in the Plan and benefiting by the results. Since market and business conditions change periodically, it is essential to review, analyze and adjust your Business Plan on a regular basis to ensure you stay on the right track to grow your business.